Arrival in Paris was magical. 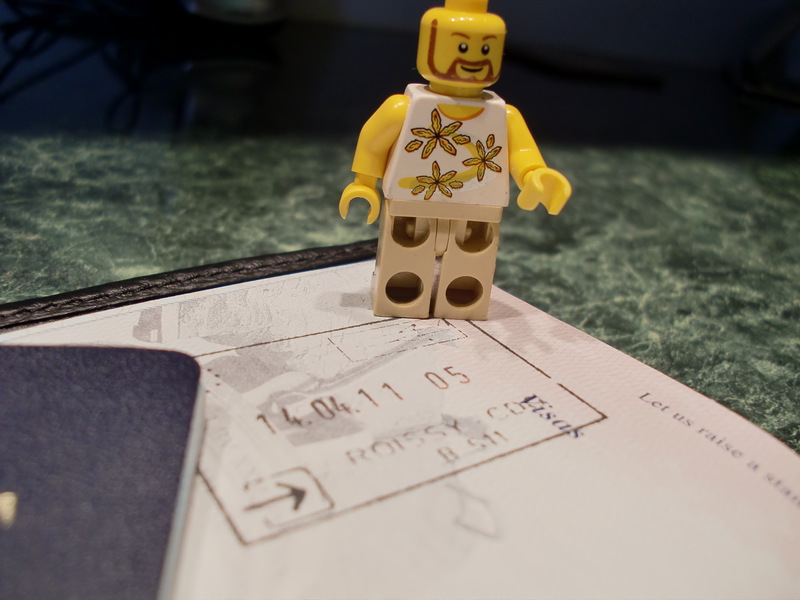 Getting through the lines at customs and immigration was a breeze. A stamp in the passport and a few questions and we were through. There was some slight concern because Bubba was carrying no cash or luggage but we vouched for him and he got his stamp. I have to admit that we looked a little shady since after the long flight we both needed a shave. We took an airport bus to the Gare de Lyon, the station where we would board the high speed TGV train the next day. We picked a hotel near the station for this one night stopover. We had our first minor glitch in checking in. The receptionist was kind to us by giving us a first floor room (no stair climbing) facing the back and away from the noise of the street. The problem was that it was a smoking room. That is something we needed to get used to in Europe. Smoking is less than before but still common. Think back to California 20 or 30 years ago when “No Smoking” zones were first appearing in restaurants, there was some resistance and in France the idea of banning smoking in buildings or public areas is slow to catch on. I went to the front desk and expressed my appreciation for the room but asked if there was another one available. I remembered Bubba’s towel incident in Newark and didn’t want a repeat. They apologized and said all they could offer was an upper floor facing the street. For one night, I would take the noise to get the fresh (ish) air and we moved. 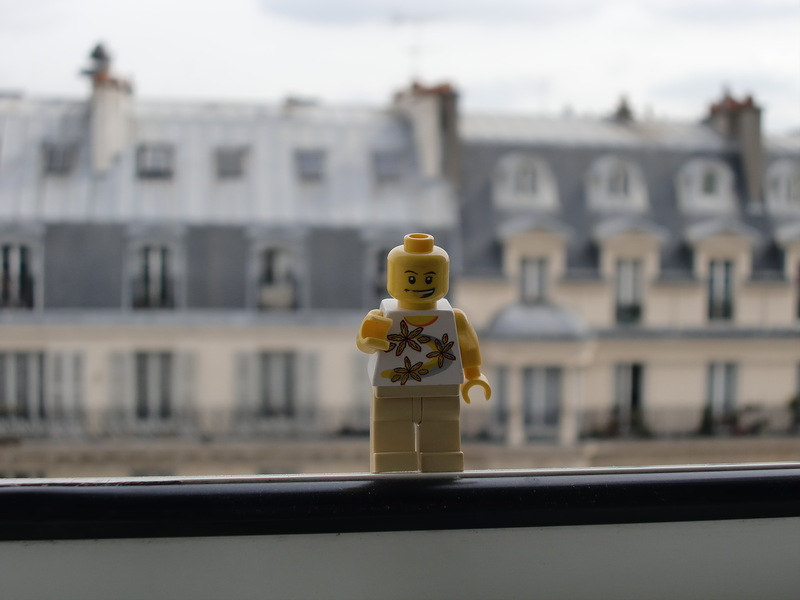 We got a lovely view of some typical Parisian buildings. 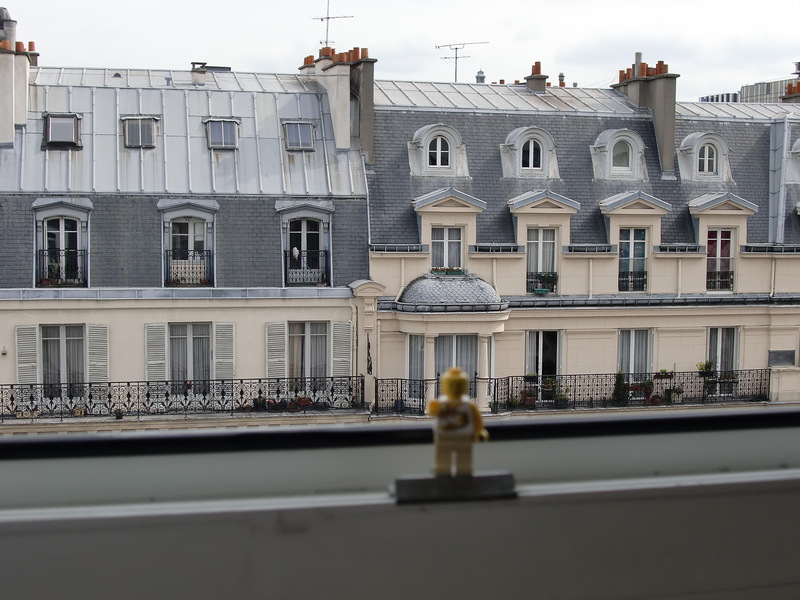 The roof line in Paris is easily recognized by the steep lines and gabled windows. Bubba wanted a picture taken of him with the buildings in the background. That’s fine Bubba but I like the look of the buildings better. Sometimes there is a choice, bubba in focus or the scenery. Sorry Bubs, I like the scenery. The sight of Parisian rooftops in the morning may be everyday to those who live there but to me it brings back any and all stories and histories that I have read about France. Listen carefully and you can hear an accordion playing. We would eventually succumb to the European eating schedule. Everything closes between noon and two in the afternoon for lunch. You can’t fight it, you must comply. If you wait too long you might have trouble finding a place or might have to rush and have only a one hour lunch. After two, the restaurants tend to shut down until around seven in the evening. Again, don’t try to get food at six, that is the time for a quick drink. The custom is to then move to another place at seven or eight or even later and eat dinner until nine or ten or later. You don’t get rushed and you don’t have the waiter checking every other minute when you are chewing and can’t reply to see if you need anything. You get your food and you own the table until you decide to ask for the check and leave. This first night, we dined simply. Bubba didn’t learn his lesson from the flight had a big seafood platter. 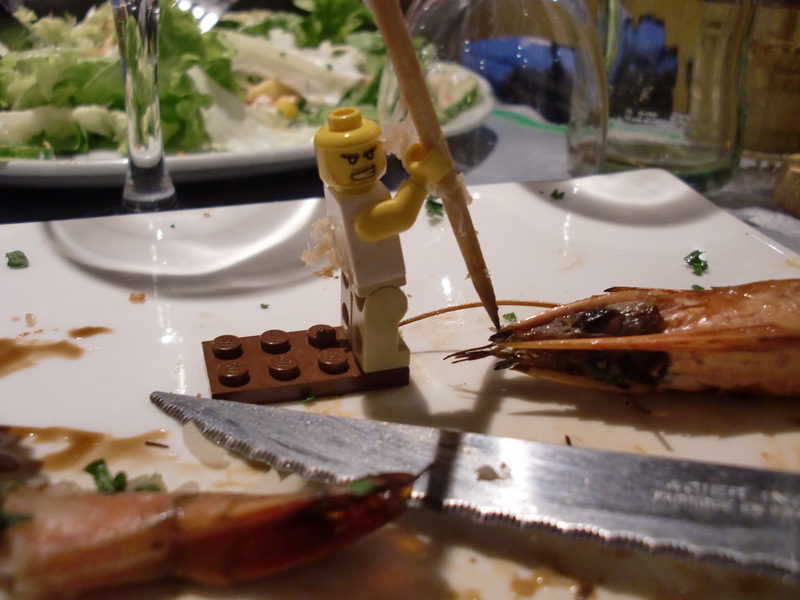 His first encounter with a French crustacean did not go well. Bubba would have to learn to pick on food his own size. It was a hard fought battle worthy of a Hollywood gladiator epic movie. Bubba Versus The Beast From 1,000 Fathoms. Bubba, exhausted, called it an early night. Jet lag does strange things to you.